Here's the pattern: I see many perfectionists; people who work hard, give a lot to others, and don't ask for a lot in return. 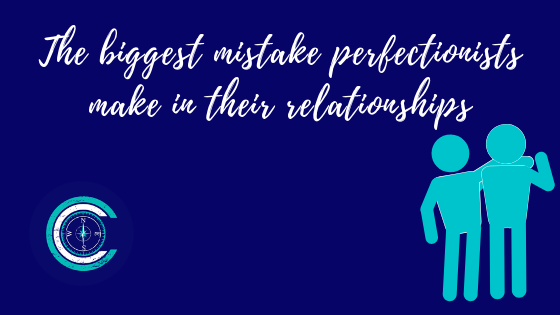 They may not self identify as a perfectionist, but there is fear of failure or disappointing others under the surface which looks like perfectionism from above. When they get to my office, they are weary and worn out. They cannot understand why they don't get anything back from the people to whom they're giving. So they continue to give, do, be, and turn themselves inside out to try to get something back. Part I was about WHY it’s so hard to ask others for what we need. When we examine this question, the first one that may arise is: how do I know what my needs are? I’ve been ignoring them for so long, I’m not sure I even know what to ask for. First, acknowledge that it’s ok to have needs. When you deny your own needs for so long, starting to acknowledge them can bring up guilt, doubt, and issues of deserving. Permission slips are good to use for this purpose. Give yourself permission to acknowledge and pursue your needs. Why? Permission slips give us the green light and make it easier to "break" the societal/cultural/familial ruleswe feel like we're breaking if we pursue unmet needs. Wouldn't it be great if people were as intuitive as animals? They always seem to know when you need a cuddle, reassurance, or an overly enthusiastic greeting. But people can't read our minds, as much as we think they should be able to if they really knew us. Not the case though: they don't always intuitively know what we need. They are not mind readers. It gets even harder when we expect them to and we're constantly let down.